BMW is looking to save some cash as it invests in electric, hybrid and autonomous vehicles. To do so, Reuters reports, the company is going to drop manual variants of the BMW 2 Series, one of Jalopnik’s favorite cars—which seems like the opposite of getting their mojo back. But BMW’s U.S. spokespeople dispute the report and say that at least for now the 2 Series in our market will keep the manual. But Reuters spoke with BMW’s chief financial officer, Nicolas Peter, who said BMW plans to crank up its research and development spending to concentrate on electric, autonomous and connected-car development. This R&D investment (between 5.5 and 6.5 percent of total revenue), along with the lack of profitability for EVs, will require the company to take measures to save money. Among such measures will be reducing complexity in BMW’s lineup—in other words, reducing vehicle options to take advantage of economies of scale, spend less money on tooling up unique parts, and speed up the manufacturing process. BMW will drop manual gearshift variants of the BMW 2 Series Coupe in the United States to cut down the cost of certifying components in each market, and it has dropped manual shift options from entry-level versions of the new 5 series diesel, he said. Before letting this statement ruin your day, it’s worth noting that the wording “drop manual gearshift variants of the BMW 2 Series” does leave a bit of room for interpretation, as it doesn’t necessarily mean all manual 2 Series variants. 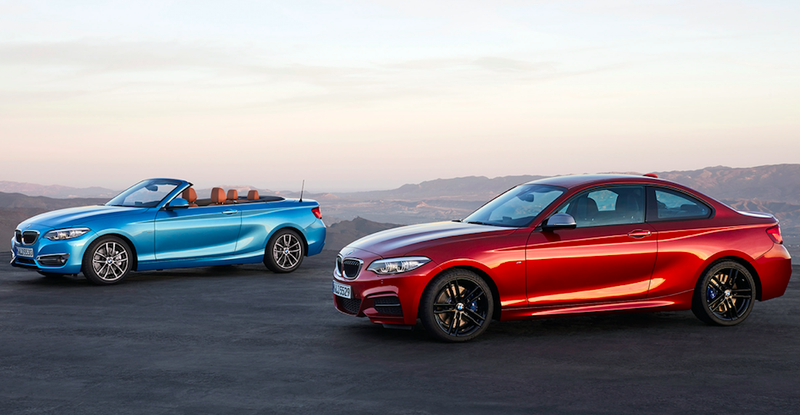 Will the company just cut the manual from 230i Coupes and keep it on the M2 and M240i? I had not seen the article until now and I will try to get some context to Mr. Peter’s statements from Munich overnight. In the meantime I can assure you that the manual transmission has not been dropped from the 2 Series for the US market. We have recently announced the updated 2 Series models for the USA and the manual transmission is still available and a popular option with our core enthusiast customers. However, I cannot speculate on the availability of a manual transmission on future generations of the 2 Series. So it seems we Americans might be okay, for now. As mentioned in the statement above, BMW has already announced that the 2018 2 Series will get an available six-speed manual transmission in 230i Coupe and M240i trims (and of course, also the M2). As for whether Peter’s statement means subsequent model year 2 Series Coupes will drop manual trans options entirely, or if just a trim level will lose the six-speed, we’ll have to wait to find out. Several of our staffers are avowed fans of the 2 Series. Jason Torchinsky says it’s the “best car BMW makes” and that “it’s the only BMW [he] thinks still has any 2002 DNA or feel in it.” It’s a small, lightweight BMW with a stick shift—arguably the purest car in BMW’s lineup. Cutting the manual 2 Series would be a huge loss for car enthusiasts. We’ll update this post as we learn more about what’s going on.